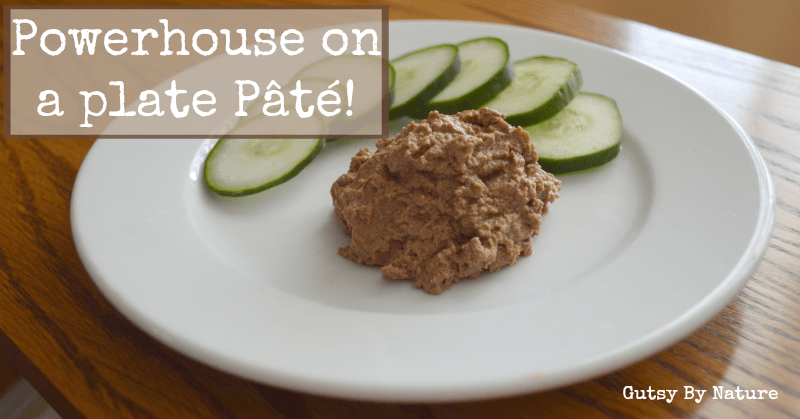 Before I get into singing the praises of the nutrient density of this pâté I lovingly call “powerhouse-on-a-plate,” I have to tell you a funny story about the real life troubles of food blogging. It is autumn now and that means that the days are getting shorter and so are the hours in which you can take photographs with good natural light, so I was hurrying to get some kind of a presentable dish to showcase what I fully realize looks a lot like a big pile of doo-doo. I scooped out the pâté (before it had chilled enough to set up and scoop easily) and carefully sliced and arranged some cucumbers to add color and suggest a paleo-friendly way of enjoying it. The light was still coming in the windows in our west facing living room windows, so I grabbed the plate and the camera and set up to start shooting. This lovely creature quickly appeared at my elbow, always excited when the aroma of food appeared at dog nose level but I shooed her away and went back to snapping pictures. Finally satisfied that I had captured something that would work, I returned to the kitchen… Where I found her with her front paws and face squarely in the serving container I’d left on the counter in my haste, silently gobbling up as much as she could before I returned. I’m sorry I didn’t have the wherewithal to snap a picture (the camera was even still in my hand!) before I scolded her and assessed the damage, because it would have made a nice addition to this post! 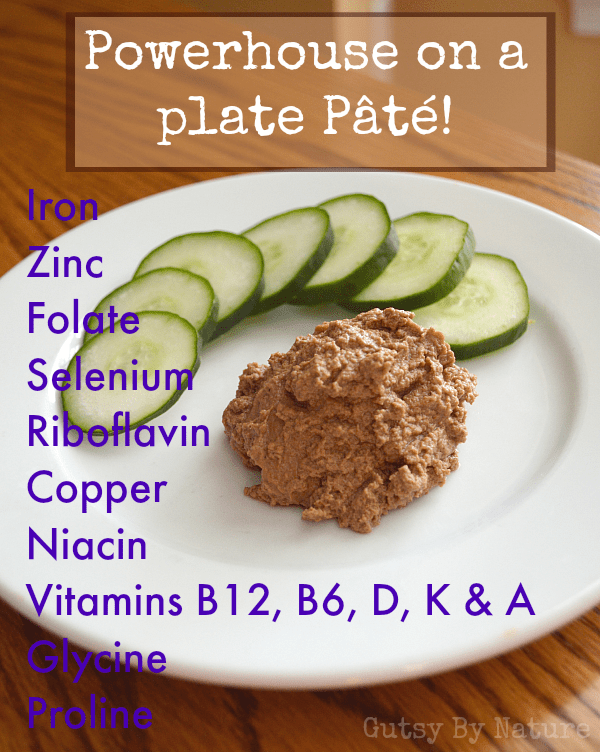 OK, now on to why I call this particular pâté recipe “powerhouse-on-a-plate,” especially for people with Crohn’s disease who are often deficient in many of these key nutrients and others with autoimmune diseases. Zinc (from the mushrooms and liver) Supplemental zinc has been shown to help tighten the “leaky gut” junctions that cause autoimmune disease. Selenium (from mushrooms) Deficiency is frequently found in people with bowel diseases, such as Crohn’s disease, ulcerative colitis, and celiac disease. Iron (from the liver) leeding and poor absorption can lead to iron deficiency anemia in people with inflammatory bowel disease. Folate (from the liver) Bowel disease in the small intestine is frequently correlated with folate deficiency. This dish is also a great source of the B vitamins, copper, and vitamins D, K, and A! And the best part is that it is all completely naturally derived and therefore much easier for your body to absorb and assimilate than the synthetic versions you’d find in processed fortified foods. Paleo Autoimmune Protocol (AIP) – This dish is perfect for people following AIP as outlined in The Paleo Approach by Sarah Ballantyne. Specific Carbohydrate Diet (SCD) – Legal. Low-FODMAPs – Substitute the green part of scallions for the onions and omit the garlic, or use a garlic infused oil. This pâté might not look pretty, but it makes up for that in nutrient density and delicious taste. In a medium skillet over medium-low heat, fry bacon until crips. Remove bacon and set aside, leaving fat in the pan. Cook onion, garlic, and mushrooms in the bacon fat until onions are soft and mushrooms have released much of their liquid (about 7-9 minutes). Push onion, garlic and mushrooms to the edges of the pan and gently nestle the liver in the center. Cook on one side just until browned (about 2-3 minutes), then flip each piece and and cook briefly (1-2 minutes) on the other side. It should still be slightly pink on the inside if you cut into it. Remove from heat and allow to cool slightly, then transfer contents of skillet to a blender. Add the thyme, bone broth, and reserved bacon to the blender and puree until smooth. Taste and add salt as desired (you may not need any as the bacon adds plenty of saltiness). Pour or spread into a small glass dish and refrigerate until firm. Serve with sliced vegetables or your favorite grain free cracker. Yum! Made this for dinner last night . Thanks for this recipe! Sounds good. I can’t eat mushrooms…any replacement ideas? I think you could just leave them out. The liver taste might be a little stronger, but should still be good and very nutrient dense. Sorry Jaime but I really find it funny and naughty at the same time! 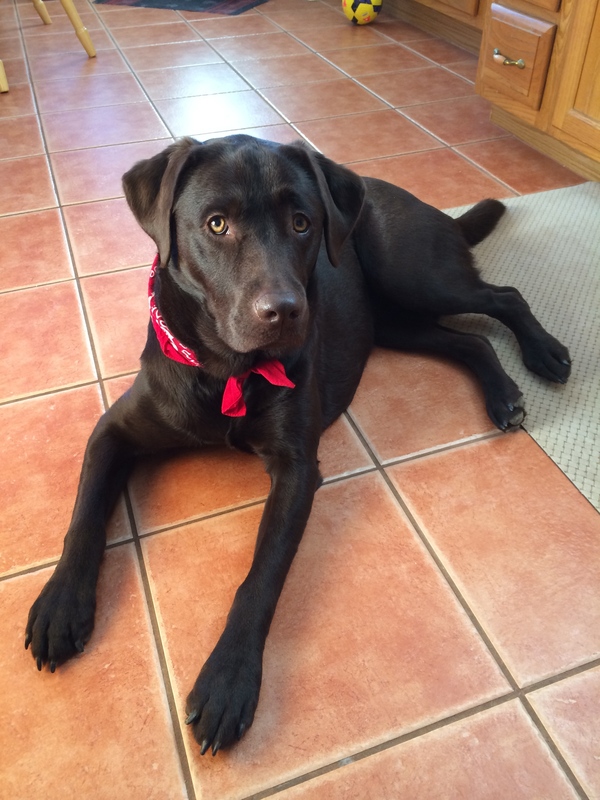 You weren’t even able to take a photo of the dish because your dog ate it. Haha! By the way, thanks so much for sharing this yummy and healthy Bacon, Mushroom and Liver Pâté Recipe. Hope my husband will like it.